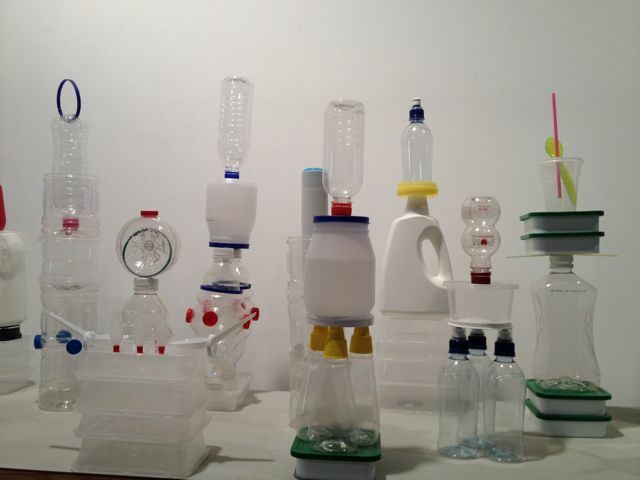 Tracey Clement, ‘Plastic City’ (detial), June 18-24, 2012. There is nothing quite so irritating for an artist as being told that your work reminds somebody of a piece by someone else. Happily, no one did say to me that my recent project, Plastic City, bears a striking resemblance to the current exhibition by Isabel and Alfredo Aquilizan. I had to tell myself. To be fair, in many ways, there are more differences than similarities between the two exhibitions, but they are both miniature cities made from materials that would normally be recycled. And they did open almost simultaneously, begging the question, while we all like to think that our ideas are sparks of originality, just waiting to set the art world on fire, are some ideas just bleedingly obvious at certain moments in time? Are some concepts part of the zeitgeist, floating in the ether, determined to manifest? 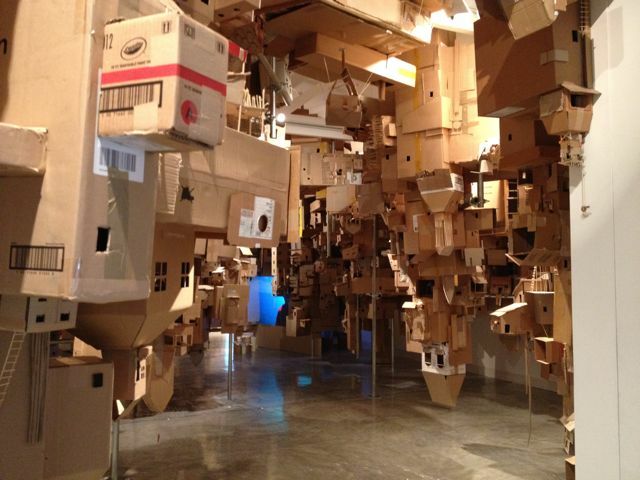 Tracey Clement’s ‘Plastic City’ being recycled by the public, June 24, 2012. My Plastic City represented the annual consumption of one individual. The miniature buildings were made from every plastic container I bought during 2010; they were stored instead of recycled. 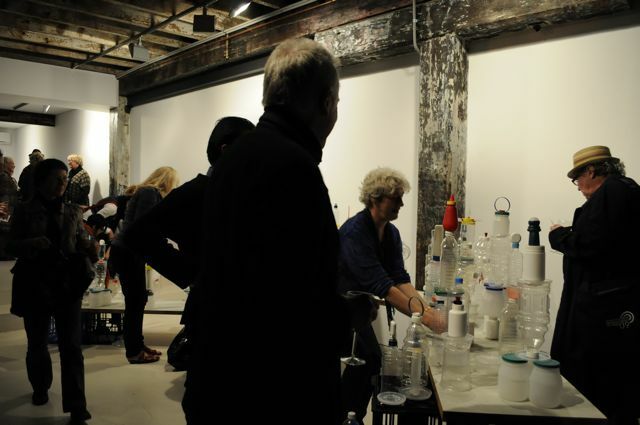 I constructed the work during a week in the gallery, then visitors helped me to recycle it at the exhibition closing. I hoped that the vaguely sci-fi style of the mini city’s ‘architecture’ would be an invitation to think about the future. Plastic City highlights the fact that recycling is not enough. We need to choose items that aren’t heavily packaged. We need to use less and re-use, not just recycle. My aim was that visitors should leave asking themselves, “How big would my Plastic City be?” In this case, bigger isn’t better. Isabel and Alfredo Aquilizan, ‘In-Habit: Project Another Country’, 2012. Courtesy: SCAF. 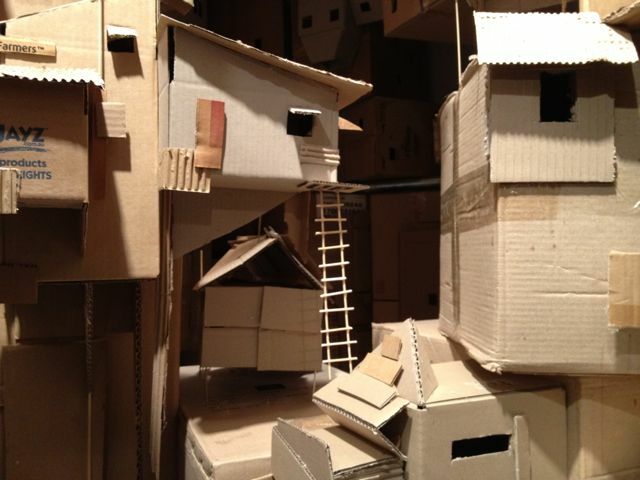 Although Isabel and Alfredo Aquilizan’s miniature city, In-Habit: Project Another Country, is made primarily of cardboard that would ordinarily have been recycled, their stated aim is to highlight the plight of a displaced people, the Badjao of the Philippines, not issues of consumption and sustainability. Another key difference is that their installation is without a doubt both far bigger and more impressive than the mini city generated from one year of my plastic. To me, a model city is inherently aspirational. It embodies potential, possibilities and dreams. And dreams, of course are delicate, easily destroyed. Plastic City was my second miniature city project, the first was also a warning. They were invitations to examine the hubris of contemporary culture and the repercussions of our actions. I loved Isabel and Alfredo Aquilizan’s In-Habit, not least of all because they took the notion of a model city and used its innate qualities to do something totally different. Where I see danger and fragility, they seem to have found resilience and hope. Plastic City has been recycled but you can watch a time-lapse video of the whole process. Isabel and Alfredo Aquilizan: In-Habit: Project Another Country is on at SCAF until August 25. Thanks! It’s my first effort!